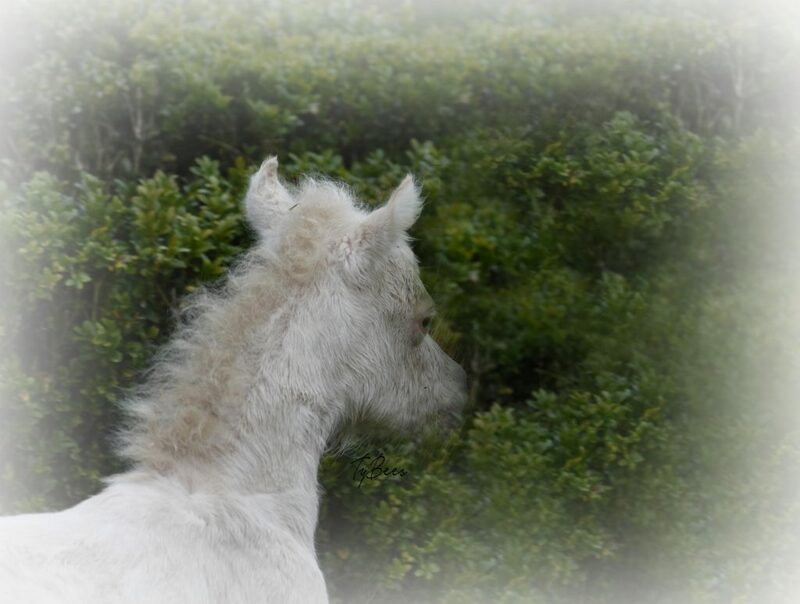 In the herd with all her friends, on April 20 SSF Beautiful Jeanny to Remember gave birth to a jet black foal, a copy of her beautiful sister Carlotta. We call her Dunya. Dad is our stallion SSF Velvetbucks Levi who has already shown that he produces beautiful foals. In the afternoon Lucky Four Black Velvet Juleybuck found it time to give birth. 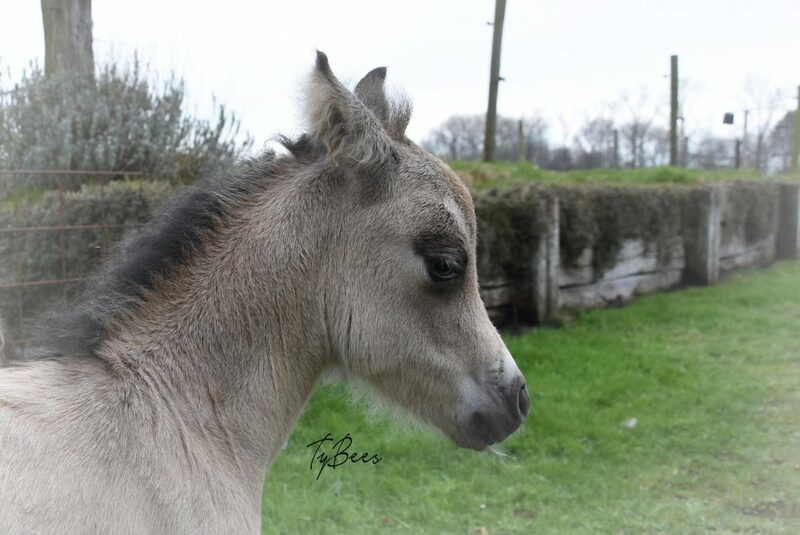 Juley had an excellent delivery and became a mum of a beautiful Silver Buckskin colt. As always, Juley does an excellent job! Dad of the foal is our SSF Velvetbucks Levi. 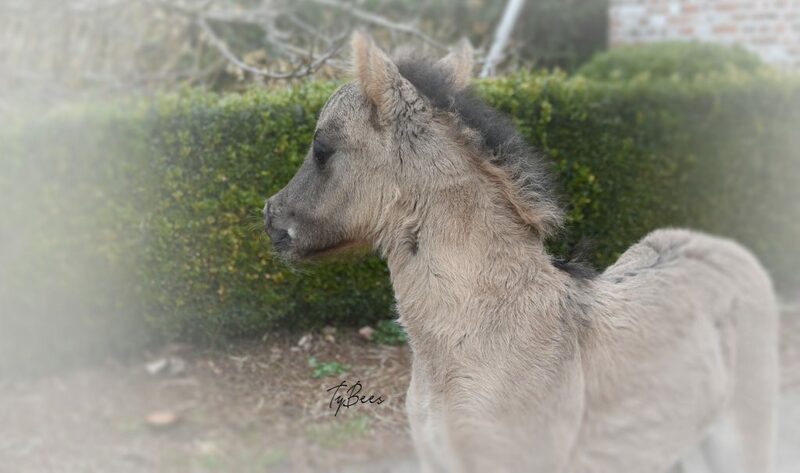 The foal of Lucky Four Black Velvet Shez Foxy was born at lightning speed. We were just in time to see what a nice little doll Foxy had put on the world. She is small but very lively and a copy of her mother. She was born just after midnight and that’s why we call her TyBees Suchabuck a New Daysie, with the nickname Daysie. Father is Silver Plates Baccarra Couragio. The first foal of this year left something waiting. He put our patience to the test and was finally born after a period of 346 days. 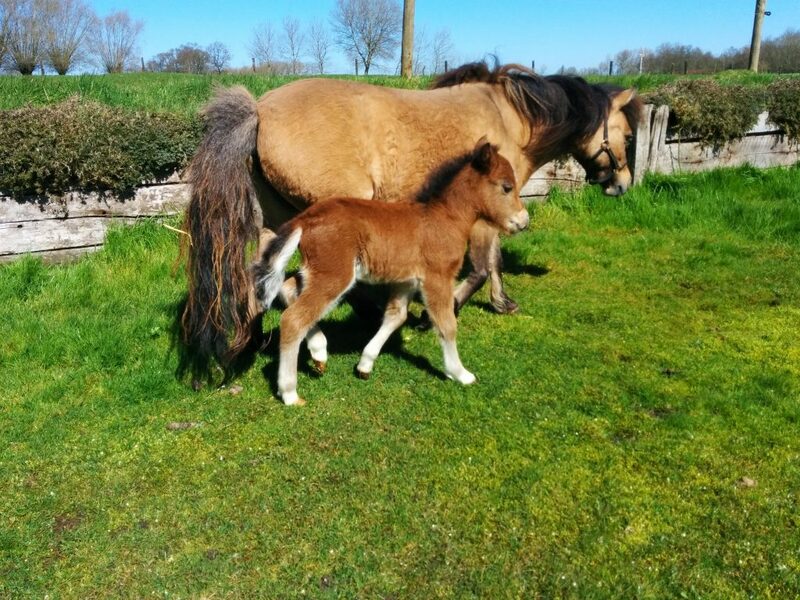 Mother and foal are doing perfect! Mama, Lucky Four Black Velvet the Cats Meow is just like the last time a great mother. (Meow always takes care of every foal). Meow had a very difficult birth in 2015 but this time everything went according to the booklet, what a relief! He is very active and is very similar to his mother with his dorsal line back and zebra markings at the knees and hocks. We name him TyBees Levi Velvets Dempsey. Proud dad is SSF Velvetbucks Levi. Our last foal this year was born on July 8th. Lucky Four Sucha Fancibuck was only pregnant for 304 days, but it’s definitely not visible, he’s very healthy! 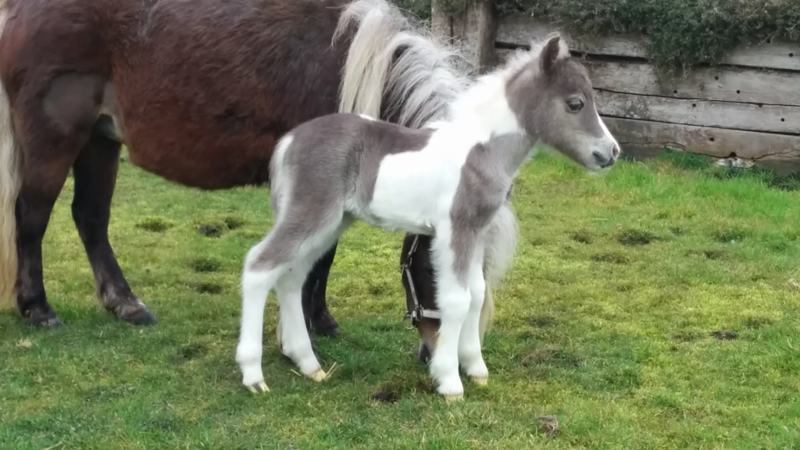 It’s a colt and he is called Crush. He has inherited the beautiful color of his mother, silver bay! Proud daddy is SSF Velvetbucks Levi. On 6th of June at 20h15, SSF Beautiful Jeanny to Remember became the proud mommy of a wonderful filly! 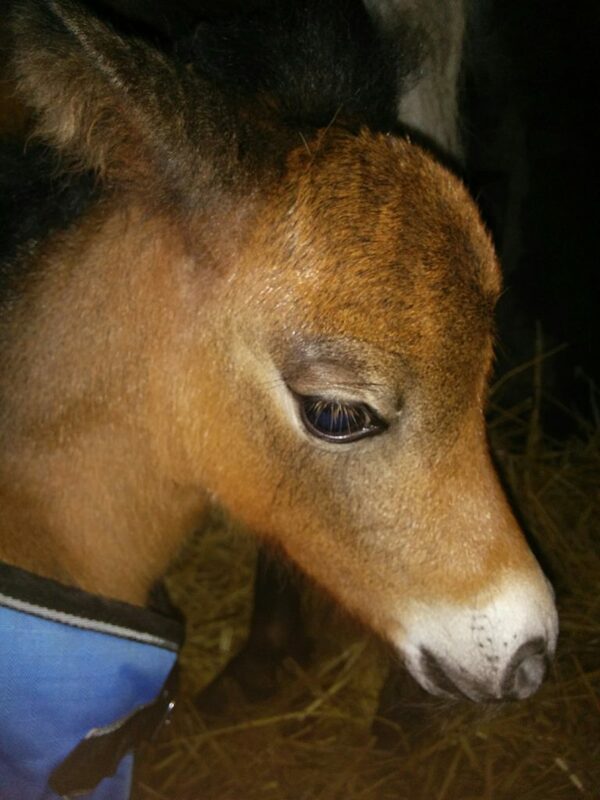 Both Jeanny and the dad, SSF Velvetbucks Levi, is their first foal. 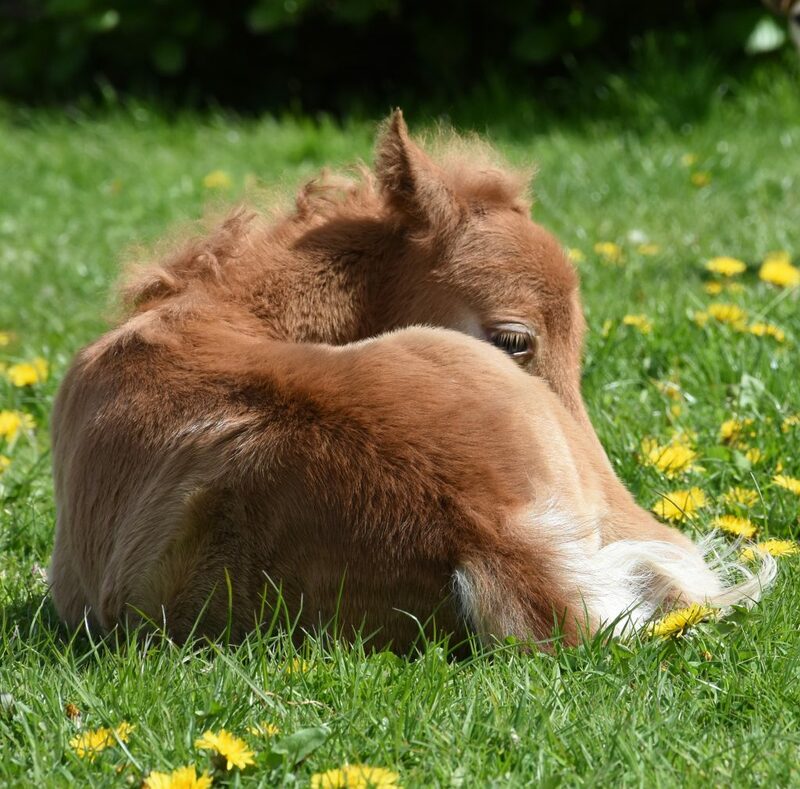 They took their task very seriously and made a beautiful foal. Jeanny has had an easy delivery and does her job very well. Carlotta walked around after 10 minutes and drinks were also self-evident. 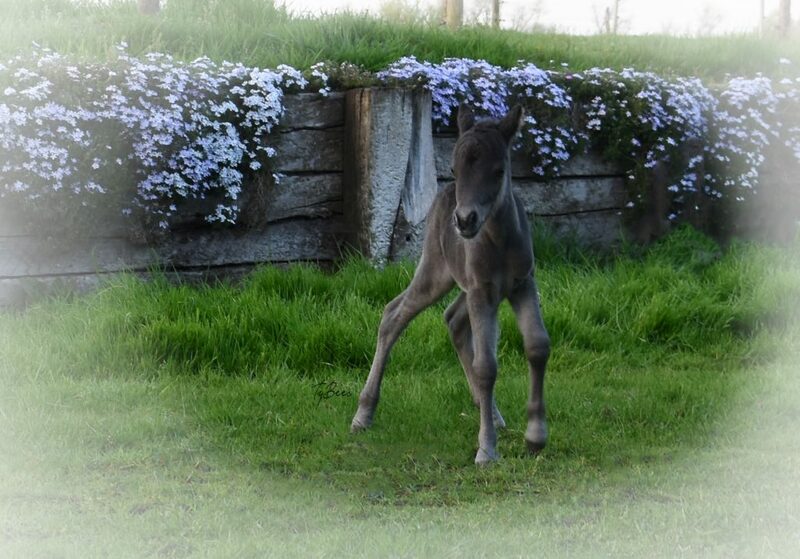 On April 15, the anniversary of Brecht and our beautiful stallion SSF Velvetbucks Levi, the unexpected foal is born of Lucky Four Black Velvet Juleybuck. Juley is a wonderful mother and has had an exemplary delivery! We call him TyBees Eagle Scouts Cooper. Father of the foal isFallen Ash Eagles Eclipse. A super stallion with a great pedigree with only world champions. 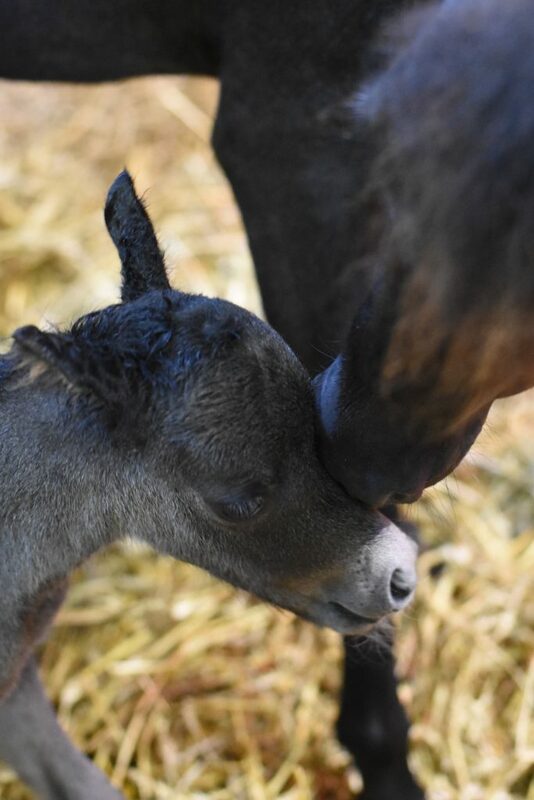 Our first foals are born! Everything went well and we were able to welcome two great colts . Attila , son of Lucky Four Sucha Fancibuck , Libertymeres Velvet Buckeroo and full brother of SSF Velvetbucks Amazing Silver Moon. Astor, son of Lucky Four Black Velvet The Cats Meow and Hunterberryhill A Time To Remember , a horse with magnificent course !